Matt Gruhn was recently named president of the Marine Retailers Association of America, succeeding Phil Keeter, who is retiring at the end of the year. 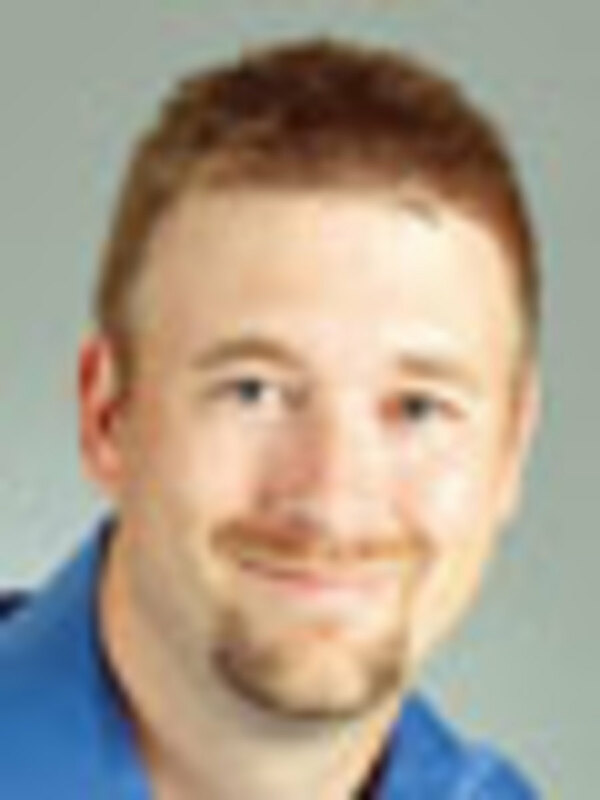 Gruhn, 38, is group publisher and editorial director of the Affinity Trade Group, where he oversees two business-to-business titles — Boating Industry and Powersports Business — and 17 related products. He has led efforts to reinvent the marine dealer conference, resulting in a 374 percent growth in target audience and a 375 percent growth in total event revenue in the last three years. He also created the Top 100 Dealers program, which Boating Industry administers. 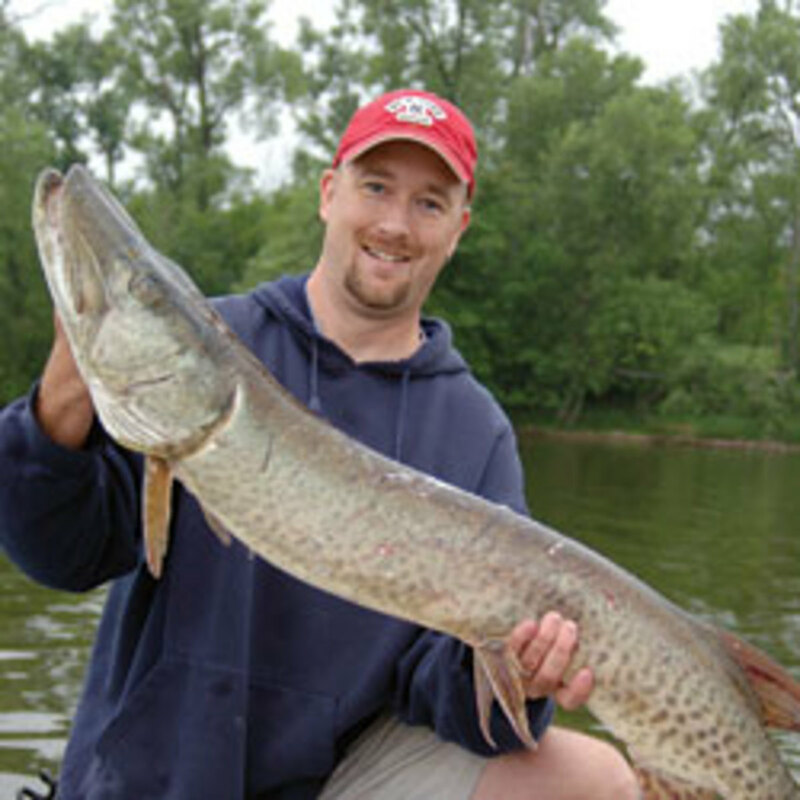 Gruhn joined the company as associate editor of Watercraft World, PWC Magazine and Watercraft Business in 1997 and was promoted to managing editor, and then editor, within four years. He worked on the staff that launched Powersports Business in 1998 and began working on Boating Industry after Affinity acquired the title in 2002. He was named editor of Boating Industry in 2003, associate publisher in 2009, and to his current position last year. Gruhn, his wife, Allison, and their daughters, Madison, 7, and Gabrielle, 4, live near Minneapolis. His hobbies include fishing, boating and baseball. Q: What made you interested in this position? A: The biggest thing is simply that in the role that I’ve been in here at Boating Industry what’s really driven what I’ve been able to do is this passion for helping dealers and working with dealers. That, I think, really was ignited when we launched the Top 100 program and we started working so closely with dealers, and really grew from there. Since that time, we’ve worked somewhat closely with the MRAA to help them and it’s just been something that I feel really aligns well with where my passion is and what drives my goals and my ambitions. I don’t want to speak for the association, but I felt that I was a good fit for them as well, because I’ve worked so closely with Phil, I’ve worked with the board. Obviously we worked closely on the Marine Dealer Conference & Expo — it’s the MRAA’s annual convention. So just the knowledge of what it would take to be successful in that position and the passion and the skill set I’ve developed over the years, I feel aligned with that really well. While my résumé may suggest that my background has solely focused on publishing, my personal skill set has developed much beyond that to include budget creation and management, marketing and public relations, event planning, public speaking, dealer and client relations, new product development, sales and more. I’ve also spent a good deal of my personal time over the last few months studying … association management, which has been very valuable. Q: What are your goals as MRAA president? A: I have a lot of ideas. I think that there are three main things. The first one is there needs to be a greater level of authority developed for the association. By that, I mean the association should be more of a resource for the industry. It should have a lot more dealer-centric information available. So I think that there’s a lot of opportunity there for developing that authority — the value we can offer, the benefits we can offer and so forth. That’s something that I’ve always enjoyed doing — to be able to add, to create and deliver value in whatever I’m working on. So that’s a big one — the authority component. And I believe once we have that and we can offer that, then it’s about creating the visibility. I think that there’s an opportunity to increase the exposure, increase the visibility of the association. And then the final piece of if, of course, is building the community. You put those first two together and the community starts to feed itself and grow. The community starts to talk, the visibility becomes greater, and then you’ve got more members and you build more of that authority. I don’t want to make it sound like it’s extremely simple, but that’s what I see — where we can go with this. And, from what I can tell, the board is behind that. 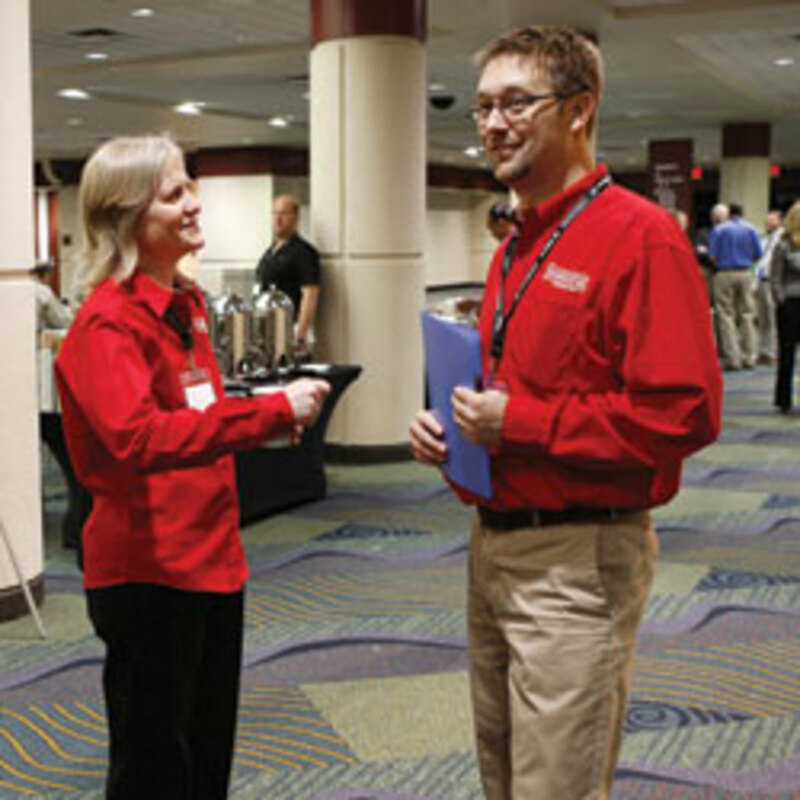 Q: The Marine Dealer Conference & Expo has grown tremendously since BI got involved. Can you talk about the future of the conference and its importance to dealers? A: I think it’s extremely important to dealers. I consider myself a lifetime student — lifetime learning is a big part of my life, reading a lot of books, getting into courses when I can and so forth — and I think that’s something that plays out very clearly in the MDCE. It’s about the education. It’s about helping dealers grow and improve and get stronger. I think one of the interesting parts of that growth [of the MDCE] is simply the fact that it was in the middle of the worst recession this industry’s seen in maybe forever. That could certainly have fueled the growth because the dealers felt like they needed answers and they needed solutions, and that was certainly part of how we marketed it, but I think at the same time that kept a lot of people away, too, because they didn’t have the money to go. So I think that the growth opportunity for MDCE is still huge. I think there’s a lot of opportunity to bring in some new dealers and make more of an impact or have more outreach with the event. We’re really going to go after getting the dealers who have never been there before, and there’s just a huge opportunity. Even with the decreasing number of dealers that we’ve had over the years, there’s still 3,000 dealers out there and, for all the growth that we’ve had, we’re getting about 10 percent of that to the event right now. So the growth opportunity is huge. Q: By some estimates, there are 40 to 50 percent fewer dealers now than there were in the past. Do you think we’ve seen the end of large numbers of dealers going out of business or do you expect the trend to continue? A: It’s hard to say, really. I’m certainly an optimist by nature, so I suspect that we’ve seen the end of losing a major number of dealers. Things have stabilized. I think that we, as an industry, the dealers as well as the manufacturers and suppliers, learned a lot of lessons — a lot of valuable lessons. I think that those things made us better businesses, better business people running strong businesses. But I also think it’s important to note that things can always be better. We can always grow. I mentioned lifelong learning. I really hope that I’m able to instill that kind of culture, that kind of thinking in this new position. Q: What do you think are the biggest challenges facing dealers and how can the MRAA help them to meet these challenges? A: I think that’s a difficult question from a national, or North American picture. I think most of the challenges that we face on a day-to-day basis are more localized and more focused on our own businesses. Certainly there’s the economy, and that always plays a role. But I think that what MRAA can do is help those dealers become more knowledgeable, more professional and help them run their businesses better from an efficiency standpoint, from a financial standpoint. Q: The MDCE has, for the past couple of years, featured many sessions on social media and new technology. Are most dealers embracing this technology or do they still need to be convinced of its purpose? A: I know that there were a lot of eyes opened at the conference last year. In our post-event surveys, we saw a lot of people suggesting that was their biggest takeaway — that they need to get active in social media. In years previous to that, there was a lot of focus on online leads and how to respond to those leads, and so forth. Certainly those types of things are going to be a focus again this year [at the MDCE] — some of the social media stuff, some of the new technologies that are out there and available. Part of the upside from the social media perspective is the cost is so low to execute it. It’s basically a time commitment, and in a time when our industry was reeling, social media became a focal point because it had lower cost at a time when our dealers had lower staff and could afford some of the time because the floor traffic might not have been as high as we would have liked it. Q: How concerned are dealers about the current instability in gas prices and how might that affect boating and boat sales? A: There’s different schools of thought. A lot of people believe that rising gas prices don’t necessarily affect boat sales as much as they affect boat use. As an example, I do a lot of boating and fishing. I’m still going to do it because I love it. It’s a passion of mine, but I’m probably going to go fishing closer to home, as opposed to driving the boat up north four hours where I’d really like to go fishing. I think that what we learned last time in 2008 when prices jumped so high was that the dealers that figured out ways to help consumers overcome the challenge — the gas price challenge — we saw a lot of best practices start to come out. We saw people launch initiatives where it was free gas for the rest of the year when you buy a boat. Right there, that just eliminates the fear that the consumer has. If you can take control of the situation like that and look for the opportunities in relation to those gas prices, I think that there’s ways to overcome it. Q: Floorplan financing remains a challenge for dealers. Is that situation easing at all? Have the changes the SBA made to its dealer floorplan financing program made an impact? A: I think initially the reaction was slow [to the SBA’s program]. I think there were some dealers that went after it, but for the most part I don’t think people understood it. That doesn’t just mean dealers. That means banks, too. There were a lot of banks where dealers would go in and the banks wouldn’t have any idea what the dealers were talking about as far as the SBA loans. They’ve got greater loan amounts and easier qualification standards than they had before, so I think it’s loosening up a little bit, and hopefully that’s going to drive a little bit more opportunity for our dealers. Q: How are dealers feeling about their levels of inventory these days? A: We did a survey earlier this year asking dealers how concerned they were about having enough new inventory to satisfy demand. We had 51 percent say they were not concerned and 34 percent said they were only somewhat concerned, so 14 to 15 percent said they were very concerned. So from that standpoint, I don’t know that there’s a lot of overly concerned people out there about having enough inventory because we’re still not seeing all the floor traffic that we’d like. The concern for the dealers is on the used-boat side. We asked them the same question for used boats, and 83 percent are very concerned or somewhat concerned. So our inventory levels on the pre-owned or on the non-currents has been depleted, so I think there’s a little bit of concern there. Q: Coming out of the recession, how would you characterize the relationship between manufacturers and dealers? A: I think we learned a lot [from the recession], both as dealers and manufacturers, about the need to work together. We’ve learned a lot about how to manage inventory levels together, what our expectations should be as far as stocking levels. You look at companies like Regal, Four Winns, Marquis — they’ve launched dealer destination-type locations where dealers can go and take customers and show them the product, let them test the product, let them drive the product and it gives them that opportunity to sell a unit without it actually having to be on their floorplan. Q: Do you think it’s important for the MRAA to work closely with the National Marine Manufacturers Association? A: Absolutely. I certainly think the relationship is extremely valuable and it should be strong and it should be a good relationship. I remember back to when we launched the Grow Boating campaign, and to have Phil Keeter and [NMMA president] Thom Dammrich there to launch it together was a big statement for the industry. In [continuing] the idea of working together as an industry, I think we’ve got to look for opportunities to do that. Q: In looking at boat shows, do you expect dealers to change their habits in regard to the number of shows they attend? Is there a trend toward smaller, more local shows? Also, the MDCE has become almost a mini-boat show itself — do you see that continuing? A: I think the data that we’ve seen has demonstrated that most boat purchases either start with or at some point have been influenced by boat show attendance. I believe the dealers are finding that they need to look at their markets and see what their markets dictate. You look at the dealers that have started their own boat shows, and some of them have been very successful — whether it’s at their own location or a shared location with another boat dealer or an RV dealer or something like that. We saw a lot of really positive numbers this year in boat show attendance, so now that the economy is beginning to recover and people are starting to think about getting back out there I think the importance of boat shows is really going to be solidified again. I think what we want to do with the MDCE is we want the dealers to be there and we want to educate the dealers and give them the ideas and the skills and the knowledge to be able to run stronger, more profitable dealerships. So, when you do that, the companies that want to market to those dealers and to reach out to those dealers … they want to interact with those dealers and learn from those dealers. [In terms of] the number of boat exhibits there, we expect that to grow. It will play out, probably to some extent, with additional boat manufacturers there and, to some extent, a different variety of how those manufacturers are presenting themselves. What we’re doing this year is — our expo space is about 35,000 to 40,000 square feet more than it was last year — so it will be our largest ever. But we’re also putting inside the expo hall the educational rooms. We’re building classrooms inside the hall, so the event will be very close, very compact. Dealers won’t have to leave the expo hall to go to the educational rooms. They’ll be able to flow right through the hall and into the rooms. The breakfast, the breaks … they’re all moving into the expo hall now. The receptions are all moving inside the expo hall. Q: What do you see as the future of the industry and what have dealers learned from the recession? A: I think we learned a lot. It made us stronger businesspeople. We’re running stronger businesses. I had one dealer tell me that ‘I wish I [had] known how to run my business on the expense side before the recession because I would have made a lot more money.’ It seems obvious, but unfortunately it takes a difficult period like this for us to learn those things. We’ve learned how to be more efficient. We’ve learned what are the must-haves versus the nice-to-haves. I think the important part of that is we really need to keep a hold on those memories and that we don’t let ourselves slip back into the old ways of doing business in every corner, every facet of our business. Whether it’s operating expenses or our relationships with manufacturers … I just think that’s extremely important we remember that and we continue to operate our businesses the way we’ve learned to over the last two or three years.